Girl Scout Nicole recently earned the Gold Award for her project, Back to Basics, to pay homage to her grandmother, who’s in a sewing circle, as well as introduce the art of sewing to kids—both girls and boys. 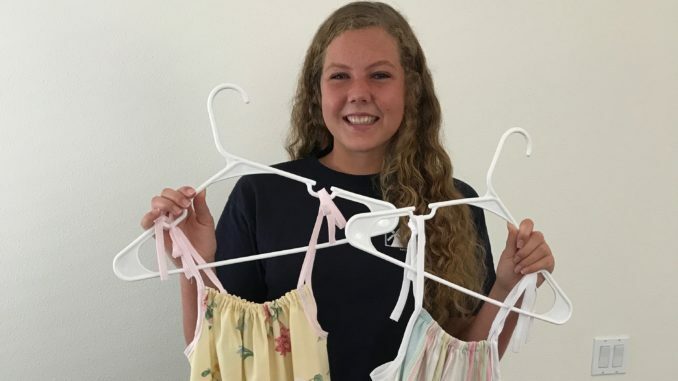 Nicole’s goal was to create 150 beautiful dresses to donate to local homeless shelters and beyond, through the Little Dresses for Africa organization. To start, she collected new and gently used pillowcases for a workshop to teach beginners sewing skills. Additionally, though not part of her initial plan, Nicole sent completed dresses to victims of Hurricane Harvey in Texas, allowing her to play a small part in helping those who were affected. Learn more about Nicole’s Back to Basics. Coffee with a Cop . . . in Salinas!